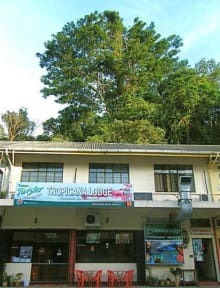 Tropicana Lodge i Kota Kinabalu, Malaysia: Reservér nu! Please inform 1 week before arrival for 5 guests and above. We love fun people as we are funnier than fun.We do and love the nature of the rainforest from the mountains to the sea. It retains a unique family atmosphere and is truly a home away from home. Our dormitory rooms, as well as private rooms, are spacious, clean, cozy and comfortable. 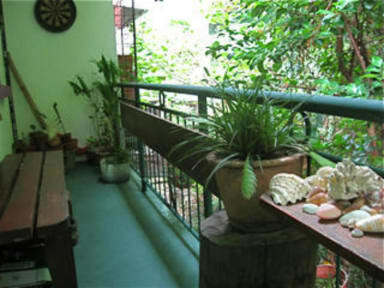 You will enjoy breakfast at our mini garden balcony listening to tropical birds sing. Also witness the light of fire-flies at night. We also offer a one stop travel service, giving you valuable tips for your adventure thoughout the land and sea of Borneo. A well trained, friendly and helpful staff is ready to provide any assistance you need.